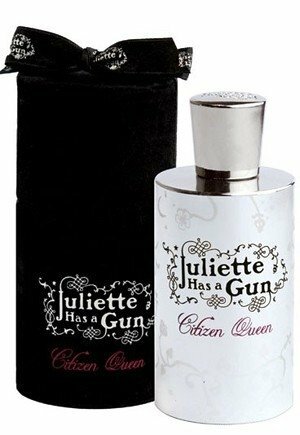 Citizen Queen is a perfume by Juliette Has A Gun for women and was released in 2008. The scent is powdery-floral. It is still in production. 1 - sweet floral, iris, magically no stink this time. 2 - nice mild soapy aldehyde the most pleasant and least harsh that I've ever smelled, very subtle. 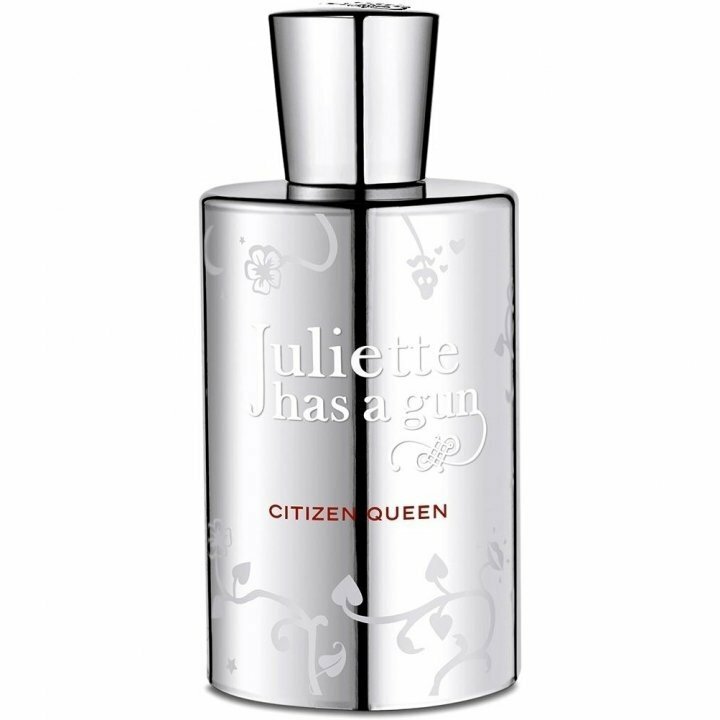 To have Citizen Queen, you have to mix powedery iris, dry roses and a touch of leather. Then add lots of aldehydes and a hint of musk. Citizen Queen is a nice interpretation of these ingredients that leads into a vintage sensation that reminds me of Chanel 22. The result is something very creamy and powdery scent, a bit sour/metallic though. It has a gentle projection and nice sillage, with a reasonable lasting power. More feminine than unisex, but i do like and use it. Very different fragrance that's worth at least a try. Another Proof of the Myth of the Skin Chemistry Myth? 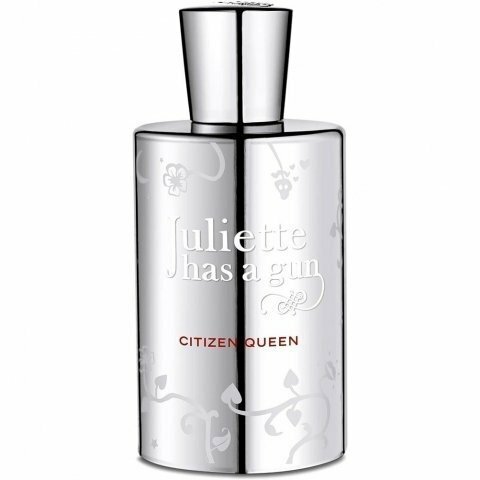 On my skin, CITIZEN QUEEN opens rather unpleasantly, with a somewhat stinky, rank quality similar to what I imagine would be the scent of a person who went camping for a few days with no access to running water and decided to "freshen up" with some talcum powder and breath mints. The drydown of this perfume smells quite nice, smooth and almost ambery, and the unpleasant animalic quality has dissipated (along with the hygienic deodorant masking aids). My impression from the other reviewers' comments is that this is one of those compositions where skin chemistry places a big role. Not for me, but might be great (and apparently it is...) on the right person. Write the first Review for Citizen Queen!